With so many threats to our bee population, such as pesticides, loss of habitat and changes in farming, it really is important to ensure that we all do what we can to encourage bees and provide them with plants that they like and plenty of nectar and pollen. It’s really easy to do! There are many different species of bees and their tastes in plants are diverse. 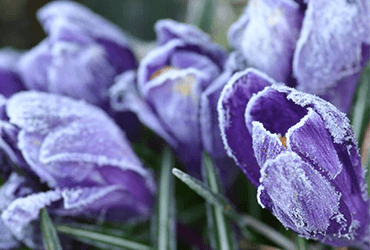 As spring arrives, crocuses are a great source of early pollination for our bees. Plant your bulbs in autumn and enjoy a beautiful early spring display as well as giving the bees that first helping hand of the year. 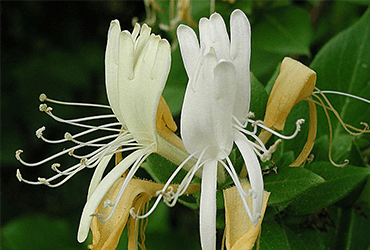 Relatively quick growing, fragrant and fairly easy to maintain, honeysuckle is a great choice particularly if you have a fence, wall, shed or pergola for it to climb. These stately annuals seem to provide the perfect shaped flower for bees and both the bees and the foxgloves will come back year after year. Another hardy annual, bees love this pretty purple flower. It’s even been called the ultimate bumblebee plant and it flowers throughout midsummer and looks fantastic in a border in a sunny position. 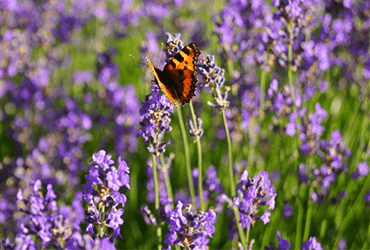 Lavender is a wonderfully fragrant plant which is easy to grow in containers, is lavender and it’s a great pollinator for honey bees too. 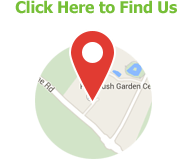 There’s so many varieties to choose from and we think it always adds that touch of romance to a garden. 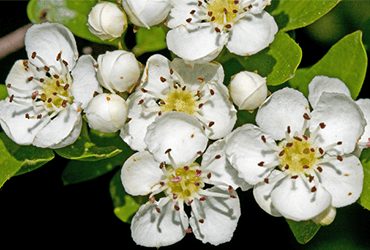 If you’ve got the space, hawthorn with its white blossom which so typically heralds the arrival of spring is another great early flower which will help give our bees a boost. 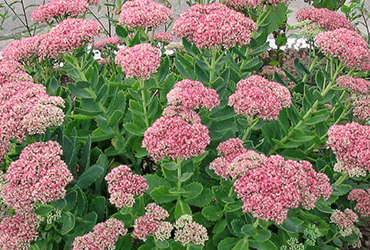 A common garden staple that bees will love is the sedum. 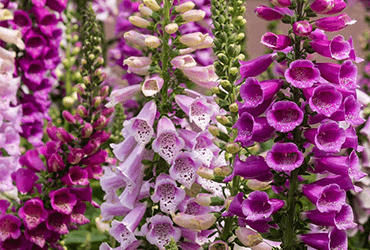 It’s hardy and comes in many varieties and because of its interesting shape, versatility and colour, it also makes a great addition to a garden. 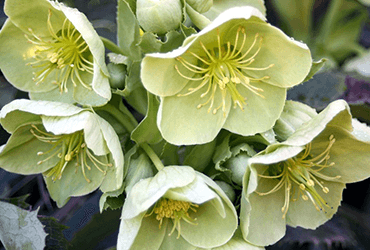 With its dainty spring flowers which are also good pollinators, hellebore remains a firm favourite amongst many gardeners. 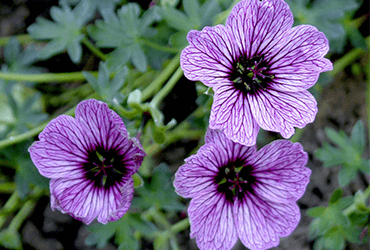 Tolerant of shade, it is fairly easy to grow and again comes in many colours. 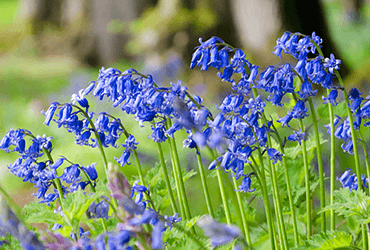 Talking of shade, if you do have a wooded area, bluebells are not only an iconic reminder of early summer, with their heady smell and rich colour but once established, they’ll also spread and attract the bees. 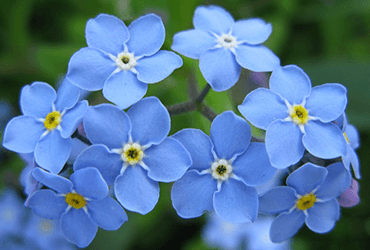 Don’t forget your forget-me-nots with their delicate haze of blue throughout spring. Easy to grow and they’ll come back year after year. 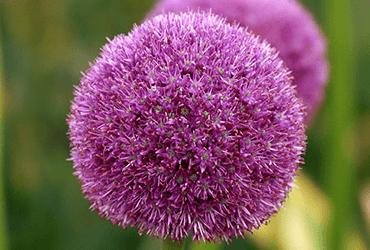 These large heads of flowers are perfect for growing from bulbs in containers or in a border and they’ll make a real statement as well as attract bees. 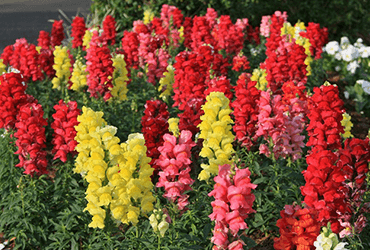 A short-lived perennial, often grown as an annual, the snapdragon conjures up images of typical English country gardens, with bees buzzing contentedly. We tend to think of the waving spikes of the buddleia flower as a great butterfly attractor but they are also good for bees. 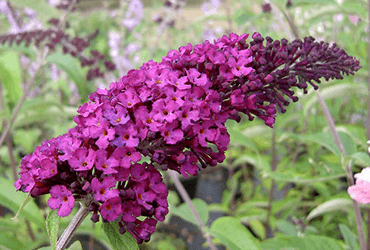 Fast growing, low maintenance and really attractive, if you have the space, buddleia is a great choice. Such a versatile and easy plant, the hardy geranium comes in many shapes, colours and sizes and can be very useful for providing colour and cover in a large border. As an added bonus to these colourful blooms, bees love them too. 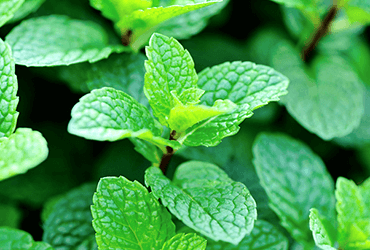 Your herb garden can provide a fragrant feast for the bees and mint is no exception. Again there are lots of varieties of mint, (and don’t forget it can be invasive) but the summer flowers will keep your bees happy. 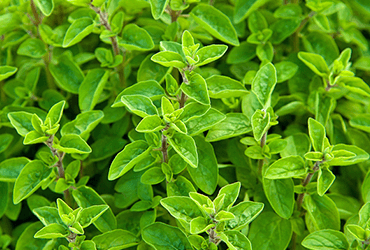 While we’re in the herb garden, marjoram is another useful herb which will double up as fuel for the bees. 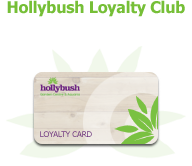 It’s perennial and self-seeding too, just to make your life easier! Have you got a south facing wall or pergola? 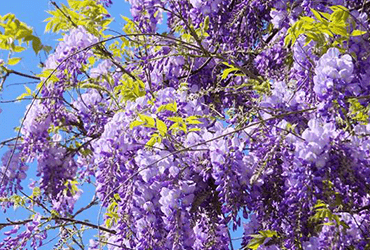 Wisteria is just wonderful as it pours its fragrant and delicate blooms over your walls. 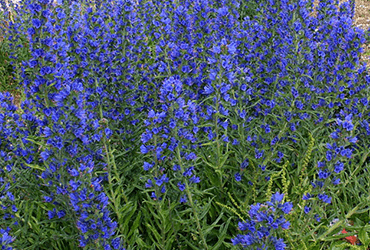 It has protein rich pollen and also comes in white as well as the traditional bluey purple. 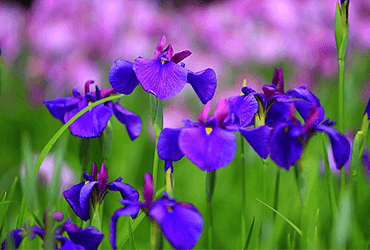 Iris is an elegant flower that comes in all sorts of varieties. Some types of Iris will do well in ponds, if you have a wet area where you need to add colour. 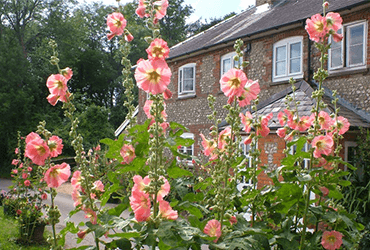 One of our favourites, hollyhocks can grow to a staggering 10 feet and are so typical of an English cottage garden. They might take a little care (staking) but they are well worth the effort and the bees will thank you. Dwarf or tall, these bright balls of yellow are not just a great mood lifter and supplier of oil and seeds but the bees love them too. 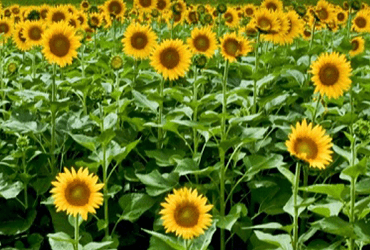 Grow small varieties of sunflower in a pot or tall ones up against a wall and let them act as a beacon to bees.